An oceanfront villa in the Hamptons on the market for $38 million is this week’s most expensive new listing on realtor.com®. Beauty entrepreneur Adrien Arpel has owned the beautiful Southampton, NY, home for the past 37 years, according to the Wall Street Journal. Available for sale for the first time ever, the beach retreat was rebuilt by Arpel and her husband, Ronald Newman, in 2002. It has since been renovated two more times, the Journal notes. The sparkling kitchen and bathrooms got a face-lift just last year. 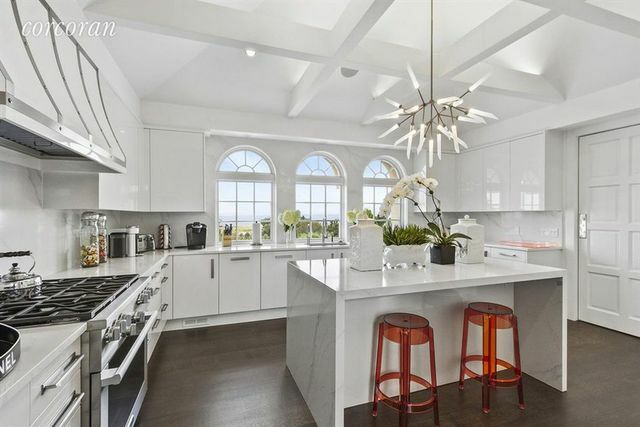 The stylish estate sits on Meadow Lane, which Forbes once dubbed “Billionaire Lane.” Notable residents there include businessman David Koch, designer Calvin Klein, and hotelier Ian Schrager. 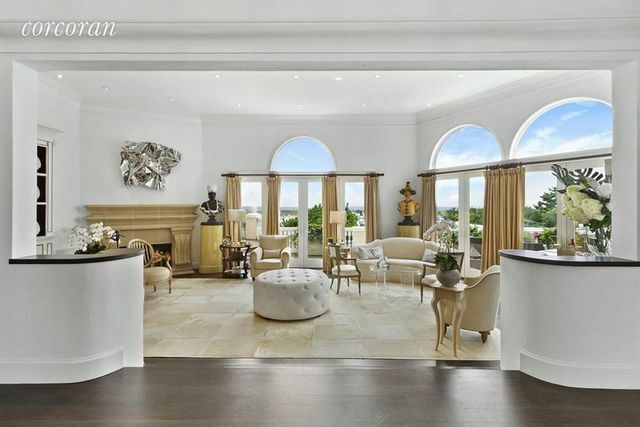 The 7,250-square-foot home has seven bedrooms and seven bathrooms. It comes with 8 acres and fronts both the Atlantic Ocean and Shinnecock Bay. The modern floor plan includes an elevator that goes between the two levels. 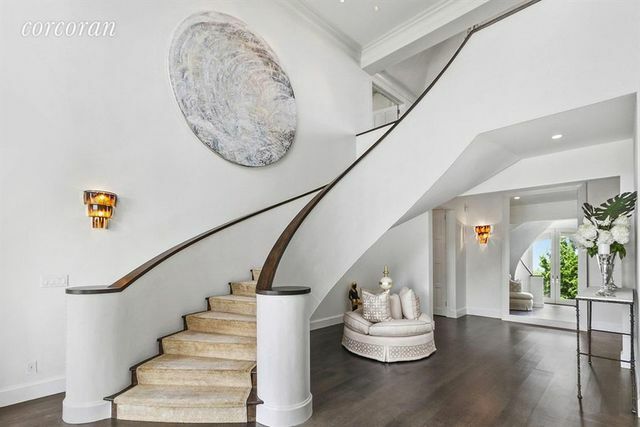 The elegant main floor features a double-height entry with a grand staircase, a living room with beach access, a dining room with a high ceiling, a library, a newly remodeled kitchen, and an elevator. 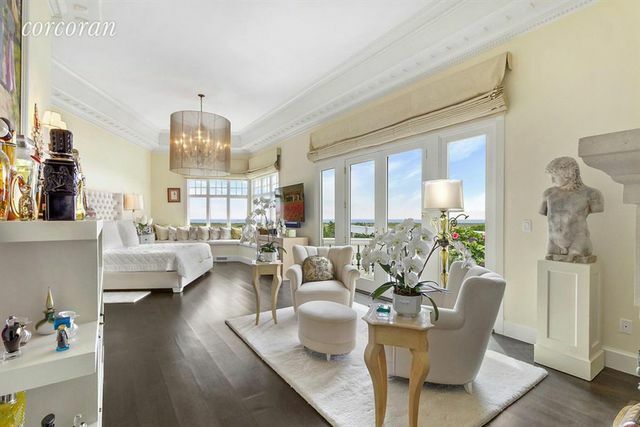 The spacious master suite includes a glamorous new bathroom—maybe not a surprise given the homeowner is a cosmetics guru who appreciates lots of mirrors and flattering light. 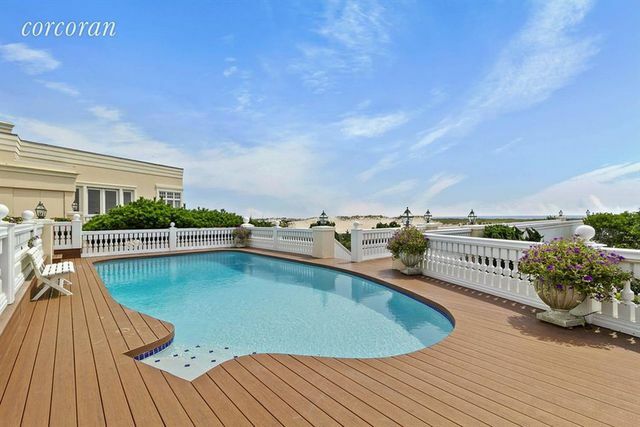 The master suite has access to the elevated pool, and features both garden and ocean views. The grounds include English gardens, a gazebo, pool, and tennis court. Arpel created her own brand of skin-care products, which she marketed first at department stores (where she apparently introduced the makeover) and later on HSN. Newman died in 2015. According to the Journal, Arpel owns homes in Manhattan and Palm Beach, FL. Tim Davis of Corcoran holds the listing. 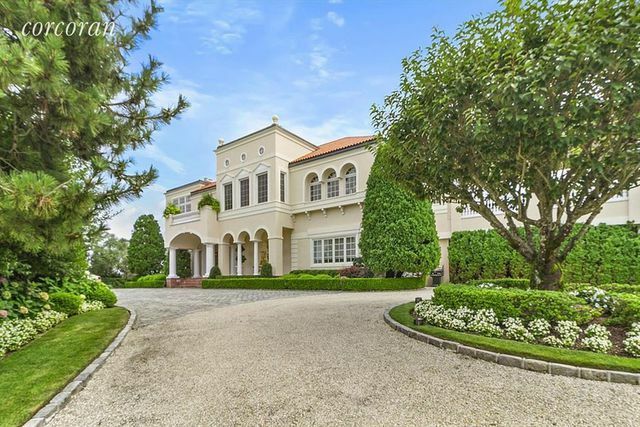 The post $38M Oceanfront Villa in the Hamptons Is This Week’s Most Expensive Listing appeared first on Real Estate News & Insights | realtor.com®. © 2019 Vail Multi List, Inc. (VMLS). The information displayed herein was derived from sources believed to be accurate, but has not been verified by VMLS. Buyers are cautioned to verify all information to their own satisfaction. This information is exclusively for viewers’ personal, noncommercial use. Any republication or reproduction of the information herein without the express permission of the VMLS is strictly prohibited. Real estate listings belonging to brokerage firms other than Resort Real Estate Experts are marked with the IDX logo or icon. The detailed information about them includes the listing brokers name. Information is deemed reliable but is not guaranteed accurate by the MLS or Resort Real Estate Experts. Data last updated: 2019-04-24T00:11:29.133. © 2019 Summit MLS, Inc., a wholly owned subsidiary of Summit Association of REALTORS®. All rights reserved. The information being provided is for the consumer's non-commercial, personal use and may not be used for any purpose other than to identify prospective properties consumer may be interested in purchasing. The information provided is not guaranteed and should be independently verified. You may not reprint or redistribute the information, in whole or in part, without the expressed written consent of Summit Association of REALTORS®. Data last updated: 2019-04-24T00:27:11.62.